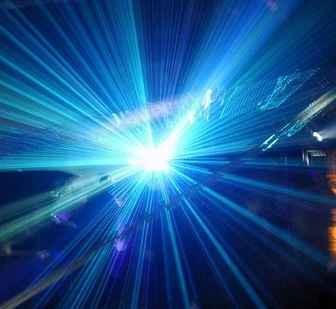 ASU researchers will work on projects aimed at boosting the power of high-performance lasers and infrared photodetectors. A team of Arizona State University researchers will get support from the U.S. Department of Defense to aid development of the next generations of lasers and infrared photodetectors. The technology is widely employed in sensing and imaging for an array of defense and commercial applications. The work will be funded by an Army Research Office grant through the defense department’s Multidisciplinary University Research Initiative (MURI) program, which supports science and engineering endeavors involving research and technology development considered vital to national interests. ASU’s Yong-Hang Zhang, David J. Smith and Shane Johnson will combine expertise in electrical engineering, materials science and physics to contribute to a project in which they will collaborate with colleagues at University of Illinois at Urbana-Champaign, the Georgia Institute of Technology and the University of North Carolina. The entire project has been approved for a grant of $6.25 million over five years. 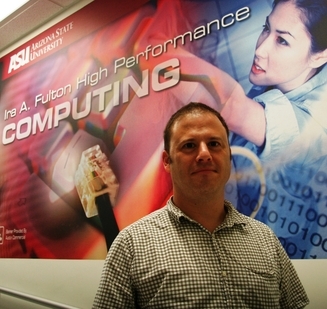 ASU’s team has been awarded $2.34 million for its part of the effort. Zhang is a professor and Johnson is a senior research scientist in the School of Electrical, Computer and Energy Engineering, one of ASU’s Ira A. Fulton Schools of Engineering. 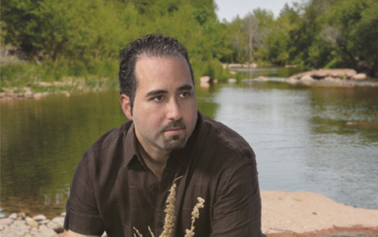 Smith is an ASU Regents’ Professor in the Department of Physics in ASU’s College of Liberal Arts and Sciences. They’ll focus on deepening knowledge of the basic properties of materials used to construct lasers and infrared photodetectors. They’ll study the origins of defects in the materials and explore ways to reduce them. Understanding how defects form at the nanometer scale will enable improvements in these materials, opening the path to advances in semiconductors, infrared photodetectors and imaging systems, Johnson said. This is the third MURI program grant awarded to ASU researchers in the past several years in semiconductor optoelectronics and photonics. There were more than 150 full proposals for fiscal 2010 MURI grants. Only 32 were chosen for funding. The project in which the ASU team is involved is the only one selected this year in the area of laser and photodetector materials research. “This indicates national recognition of the research efforts at ASU in these areas,” Zhang said. Zhang, Smith and Johnson will strive to better understand and improve the physical and structural properties of antimonide-based compound semiconductor materials. Those materials offer the potential to produce very high-performance infrared photodetectors and lasers, Johnson said. Specifically, they’ll study superlattice systems that consist of two or more materials that are intentionally arranged in alternating semiconductor layers several nanometers thick. The superlattice structures combined with an antimonide material system can give engineers “additional degrees of freedom when selecting for color and performance in infrared photodetectors and lasers,” Johnson said. The ASU team has a strong track record in this area. Zhang did pioneering work on superlattices for infrared laser applications while at the prominent Hughes Research Laboratories, and has been collaborating with Johnson and Smith on this research since he joined ASU in 1996. Smith has decades of experience studying structural properties of semiconductor superlattices.